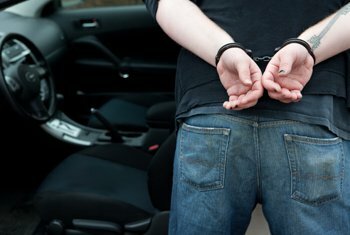 Charged With Driving on a Suspended or Revoked License? There are many misconceptions about how and when a person can reinstate their driving privileges. I can offer you clear, frank advice. As a general rule, the quicker you get your license back, the better the outcome on your driving while license suspended case. Remember, you are presumed innocent. My goal with clients is to develop aggressive strategies to contest cases at trial and/or hearings and negotiations. I may be able to help minimize or avoid potential jail time, fines and/or criminal convictions. If you choose to plead guilty or are found guilty, I have negotiated and argued many favorable settlements for clients. In Illinois, if you are arrested for driving under the influence or you refuse a sobriety test, you may face the temporary suspension of your driver’s license. If you are convicted of DUI, your license may be revoked for up to 10 years, or even life. Once a driver’s license is revoked there is no automatic reinstatement. To obtain reinstatement you must apply for an administrative hearing before the Illinois Secretary of State in order to regain your driving privileges. Whether you are facing a suspension or revocation of your license, strong legal representation can guide you through this complex legal process and improve your chances of a favorable decision. The Law Offices of David Guy Stevens, LLC located in Aurora and Naperville, Illinois, has experience handling DUI-related driver’s license reinstatements. If you are a truck driver, the Law Offices of David Guy Stevens, LLC can help you protect or restore your commercial driver’s license privileges. Commercial and professional drivers should contact the Law Offices of David Guy Stevens, LLC as soon as possible to discuss their case. If you have been arrested and charged with a DUI, you must request a hearing to prevent your driver’s license from being suspended 46 days after your arrest. This petition for a hearing must be filed within a specific time period, and the grounds to contest the suspension are limited by law. By helping you request the hearing and preparing you for what to expect, the Law Offices of David G. Stevens, LLC can help prevent your license from being suspended. In the case of a suspension, David Stevens can help you obtain a Monitoring Device Driving Permit if you are a statutory first offender. After you have been convicted for DUI, the Law Offices of David G. Stevens, LLC can help you apply for an administrative hearing before the Illinois Secretary of State to pursue reinstatement of your driver’s license. For the reinstatement of your driver’s license, you must prove to the Secretary of State’s office your commitment to safety and sobriety as an Illinois driver. The Law Offices of David Guy Stevens, LLC will help you prepare for the types of questions that will be asked and provide sound legal counsel to strengthen your case. In addition to its experience, the firm has relationships with DUI counselors and treatment providers to make sure you are on the right track. At times, the firm’s criminal trial lawyers have gone back into court on older cases to undue improper or unjust convictions. Even if you are driving your own vehicle at the time you are arrested for a DUI in Illinois, you may face harsh consequences regarding your commercial driver’s license (CDL). For a first offense, you may receive a one-year disqualification from commercial driving for simply refusing a breath test. If you are found guilty of a second DUI offense, you will be permanently disqualified from holding a commercial driver’s license. An aggressive, experienced lawyer is required to protect your rights and your driving privileges. The Law Offices of David G. Stevens, LLC in Aurora and Naperville, Illinois, can help. The Law Offices of David Guy Stevens, LLC located in Aurora and Naperville, Illinois, diligently works to provide clients with strong criminal defense, no matter what types of charges have been brought against them. Whether you were arrested for driving under the influence of alcohol (DUI) or driving while intoxicated (DWI), you have the right to an attorney who will fight to defend you. But the most common way is getting a conviction for driving an uninsured motor vehicle. A driver is responsible for the vehicle they are driving even if it is not their own vehicle. A driver can only receive court supervision once in a lifetime and it can only be their first insurance charge. So even if you only received, what most people consider, a minor driving offense, it may still have dire consequences.